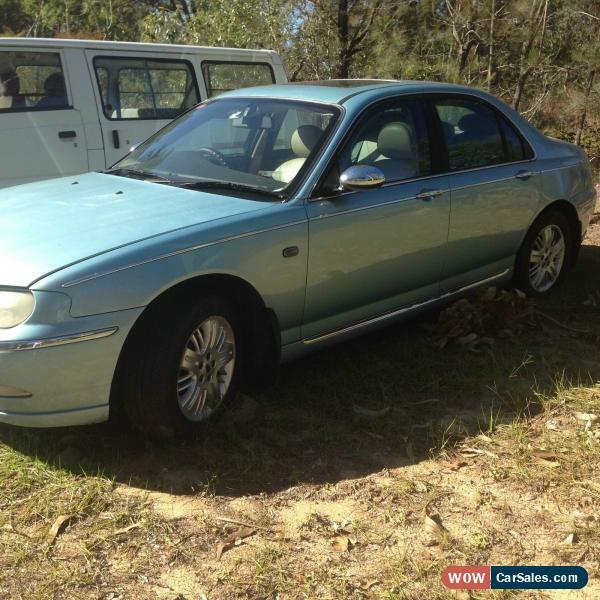 » Cars for sale in Australia » Rover » 02 Rover 75 CONNOISSEUR Suitable for parts or Restoration. MAKE ME AN OFFER. 02 Rover 75 CONNOISSEUR Suitable for parts or Restoration. MAKE ME AN OFFER. I BOUGHT THIS CAR SIMPLY BECAUSE IT'S COLLECTORS ITEM & AM OR WAS AN AVID ROVER 75 COLLECTOR,NOW IN MY 70'S THE BLOODY MISSUS SAYS THEY HAVE TO GO. COMMENCED MY LISTING BECAUSE SHE'S INSISTING! ALL REALLY KNOW ABOUT THIS CAR IS IT GOES. Rego expired about months ago plates to be returned to Qld RTA. PUT BATTERY IN IT, FIRE IT UP WITH ONE TURN OF THE KEY, THE MOTOR PURRS LIKE KITTEN. I'D BE SURPRISED IF THERE WERE NOT FEW LITTLE TAPS RATTLES EMANATING OUT OF THE TOP END. IF YOU KNOW ANYTHING ABOUT ROVER 75 KV6 ENGINES,&YOU WOULD BE SURPRISED HOW MANY MECHANICS DON'T!THE TOP END WAS ALMOST COMPLETELY RE-ENGINEERED USING PLASTIC COMPONENTS MANUFACTURED IN GERMANY. 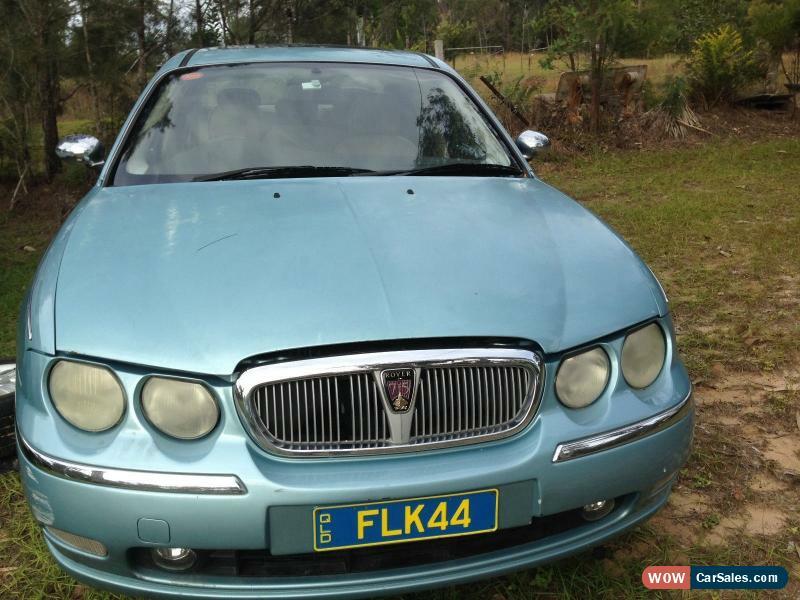 ROVER ORIGINALLY DESIGNED AN EARLIER VERSION OF THIS MOTOR FOR THE KIA CARNIVAL& THE BLOODY THING WAS LEMON! THE KRAUTS PUT SOME THOUGHT INTO IT & RE-DESIGNED IT FOR THE POMS, STREAMLINED THE TOP END IN ORDER TO MAKE IT FIT UNDER THE BONNET OF THE ROVER 75&AS LUCK WOULD HAVE IT,IT TURNED OUT TO BE AN EXTREMELLY EFFICIENT ENGINE,BUT DON'T JUST TAKE MY WORD FOR IT GOOGLE ROVER 75 KV6 ENGINE ORIGINALLY KIA K5 ENGINE. NOW GETTING BACK TO THE MINOR TAPS RATTLES IN THE TOP END,MANUFACTURED ALMOST ENTIRELY OUT OF PLASTIC AND VIRTUALLY AN UNSERVICEABLE UNIT,PLASTIC BUTTERFLYS INSIDE THEM EVENTUALLY SUSTAIN WEAR AND START TO RATTLE. ENGINEERS TOOK LOOK AT THE PROBLEM DECIDED apart from distinct little rattle minor decrease in fuel consumption EVERYTHNG WAS OK.
OLD FARTS TEND TO PRATTLE ON GET USED TO IT. THOUGHT IT WAS WORTH MENTION THO AS ALL TOO OFTEN SEE SPLASHED ACROSS THESE ADSPARTS ARE CHEAP READILY OBTAINABLEMOTOR SAME AS KIA CARNIVAL. CRAP!ALLA-ONE-SAME-THING- FELLABUT DIFFERENT - BLOODY EXPENSIVE! ACTUALLY THEY USE THE SAME MOTOR IN SOME ROVER FREELANDERS & MG ZT'S THE LATTER COLLECT AS WELL. THE MISSUS IS MURMURING "did". THIS CAR IS DEFINITELY SUITABLE FOR PARTS OR RESTORATION INTERIOR IS IMMACULATE or THERE-ABOUTS MAGS WITH GOOD RUBBER.I'LL PULL THE ELECTRIC WINDOW WINDING MECHANISM OUT OF THE MG ZT 190 I'M PARTING OUT - WHICH IS ACTUALLY THE SAME CARWITH ADDITIONAL ENGINEERING DIFFERENT BADGEING. 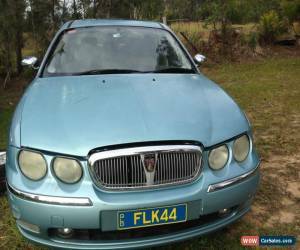 THE ROVER 75 BOASTS THE SPEED AUTOMATIC SEQUENTIAL TRANSMISSIONWHILST THE MG ZT ZT 190 AM WRECKING HAS THE SPEED MANUAL GEARBOX. INSPECTIONS WELCOME ALWAYS ADVISEABLE.The missus is here telling me she thinks she noticed pixel or two displayed on the dash, I would expect to see - one indicating brakes require attention the other indicating headlight out. Stress less - checked the pic's the 2 amber circular pixels indicate both light and brake ckeck required - all else is normal, like doors open, etc. Did mention it needs front disc brake pads replaced? IF YOU'RE INTERESTED DO INSPECT - NOW SHE HAS ME JUMPING AT SHADOWS. 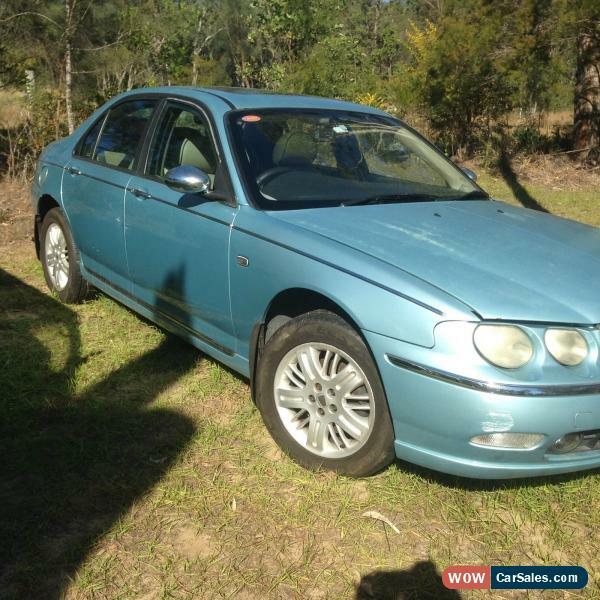 CAR IS LOCATED AT WHITEMAN CREEK NSW 2460 25k n/w of GRAFTON.items to be fully paid for within days picked up whenever within reason.This item is pick up only the pic's form major part of the description. 1976 ROVER 3500 V8 P6B AUTOMATIC SEDAN. Suit P5, P6, SD1, Triumph.